* Sayuri's Other Journey: From the Novel to the Screen - Novelist Arthur Golden and the filmmakers discuss the eight year journey of turning the best-selling book into an award winning film. * The Road to Japan - The filmmakers travel to Japan to experience the places in Kyoto that are featured in the book and discuss the challenges of shooting in some of Japan's most sacred locations. * The Look of a Geisha - The most famous geishas were considered to be the supermodels of their time. Learn the ancient secrets and modern twists to creating their hair, makeup and wardrobe for the film. * The Music of Memoirs - John Williams, Yo-Yo Ma and Itzhak Perlman discuss the creative process of composing the Golden Globe winning score. 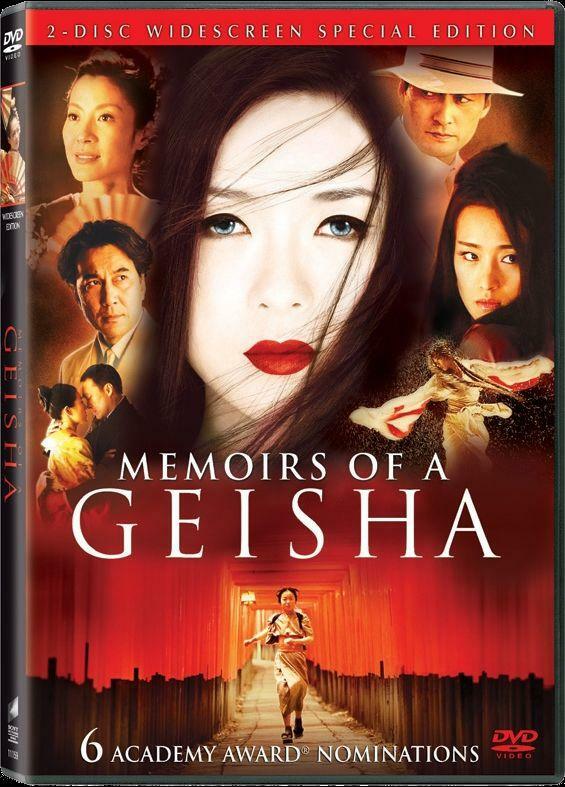 * A Geisha Dance - Follow the entire process of staging the geisha dances, from research through conception, casting sessions, rehearsals, filming and the final version of the movie. * The Way of the Sumo - Explore the fascinating history of this ancient sport and meet some of today's Sumo Wrestling champions. * A Day with Chef Nobu Matsuhisa - World renowned Chef Nobu Matsuhisa discusses his role in the film and shares some of his favorite recipes.